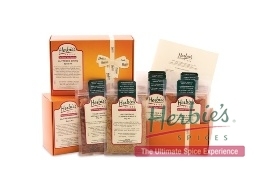 ASIAN SPICE KIT – Six wonderful Asian spices and blends with six tasty recipes – in a “lucky” red box. 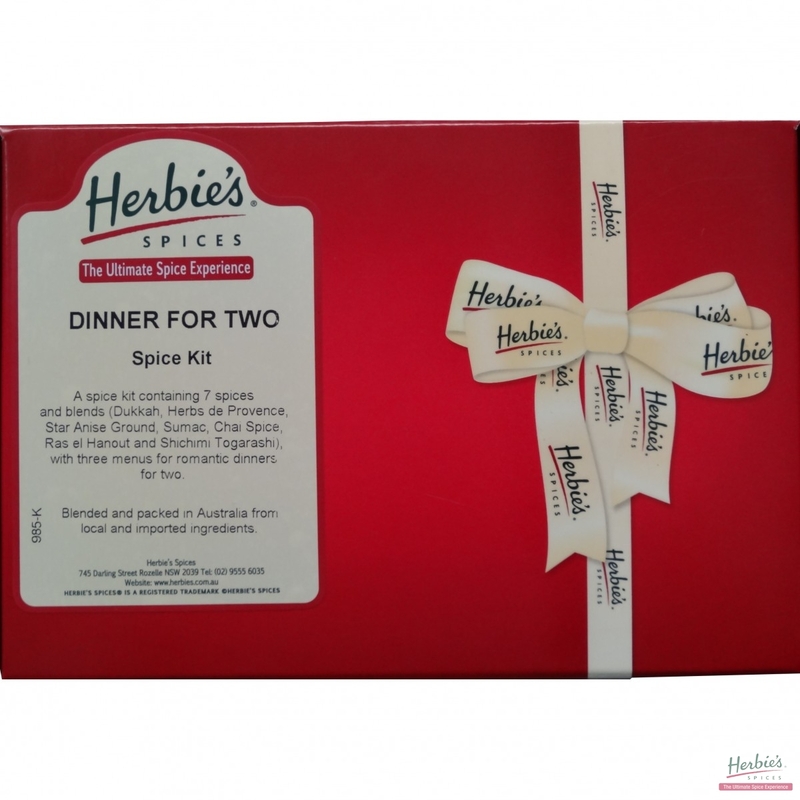 Contains Chinese Stir-Fry Spice, Amok Cambodian Curry, Rendang Curry Mix, Long Pepper ground, Thai Green Curry mix and Satay Spice Mix. 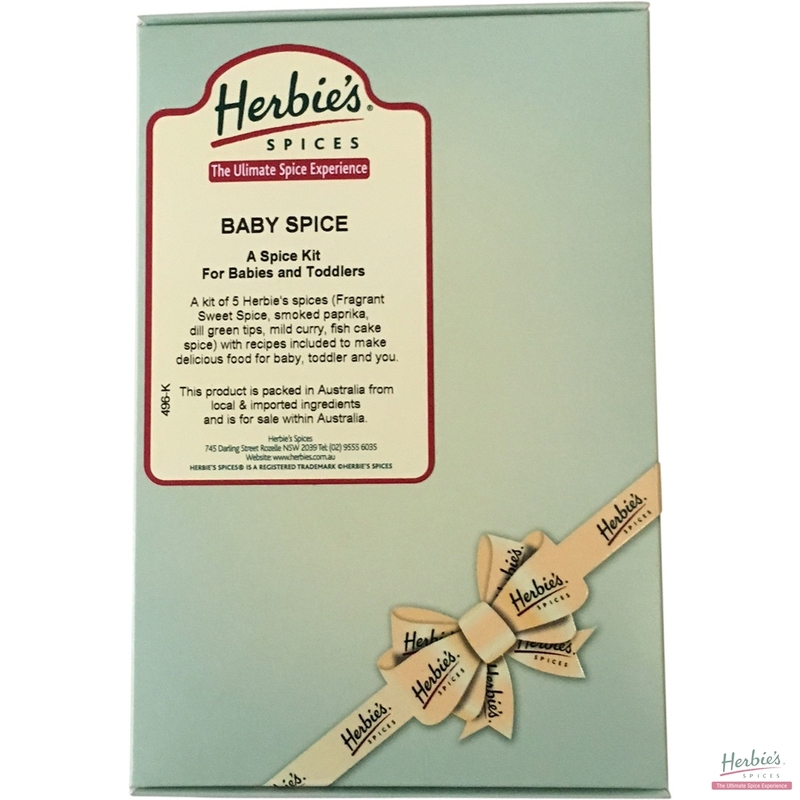 Five gentle spices, not Posh and definitely not Scary, to introduce baby to the wonderful world of flavour. 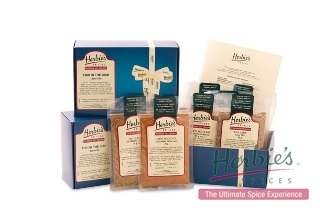 Contains: Fragrant Sweet Spice, Mild Curry, Smoked Paprika, Thyme and Fish Cake Spice Mix. 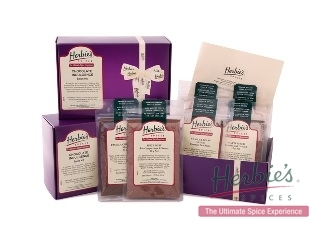 A kit for chocolate lovers … and isn’t that everyone? A host of favourites, spiced deliciously! 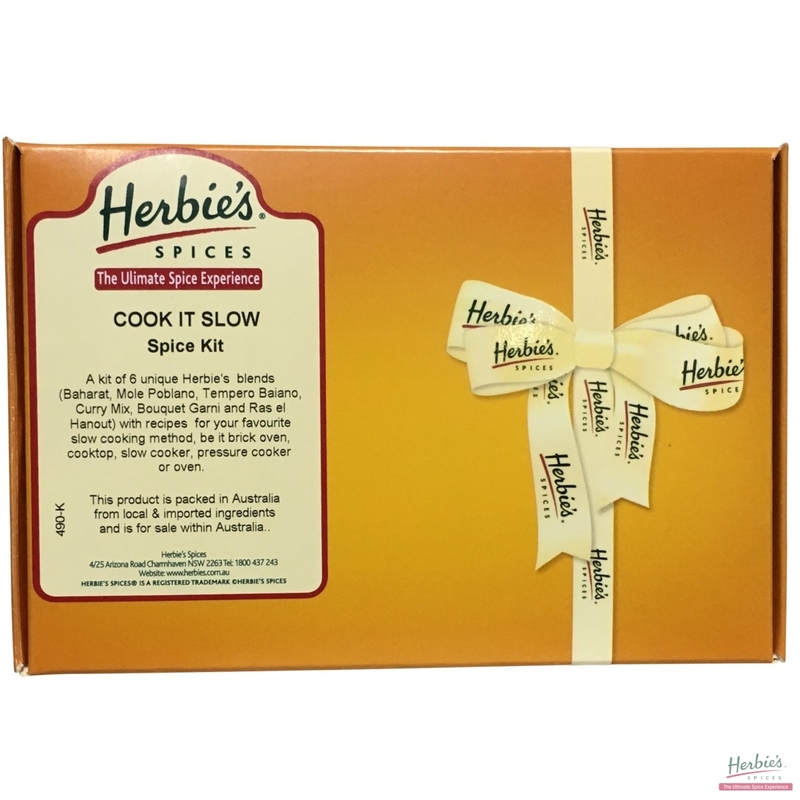 There are multiple benefits to cooking meat slowly. 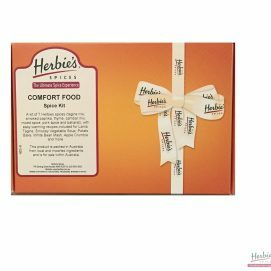 Firstly, you can use cheaper cuts of meat, which become meltingly tender with a long, slow cook. 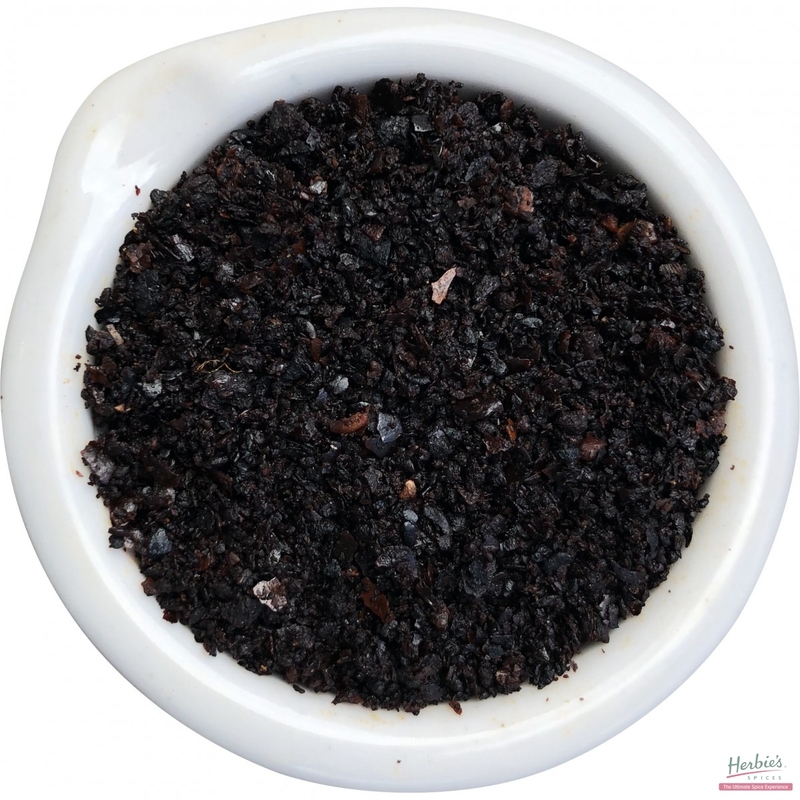 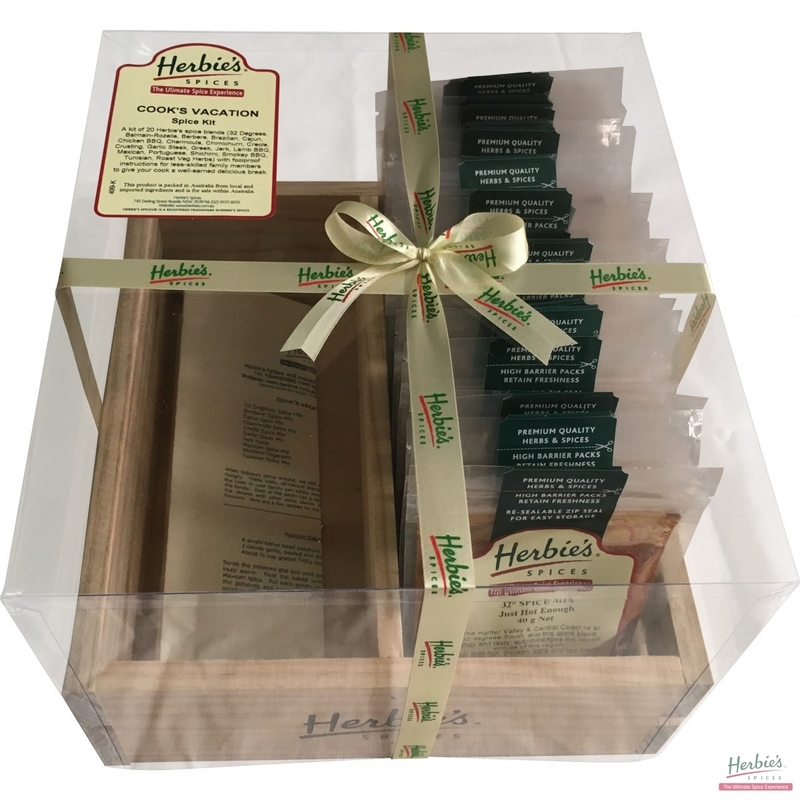 These tasty, all-natural blends are designed to make life easy so that the cook in your family can safely leave meal preparation to other members of the family. 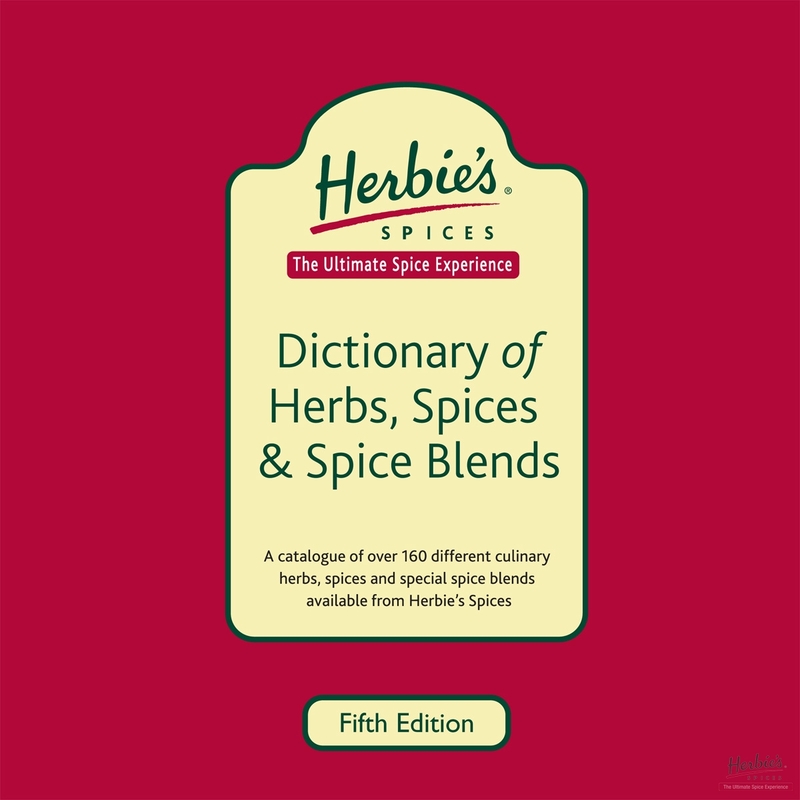 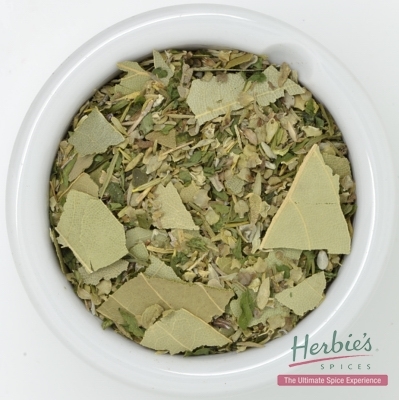 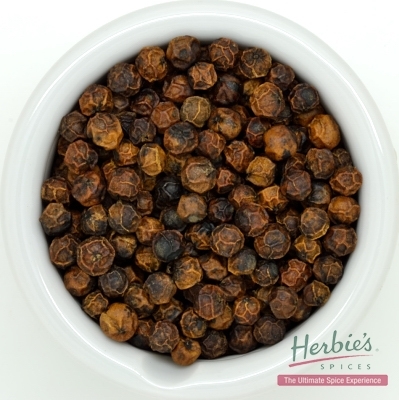 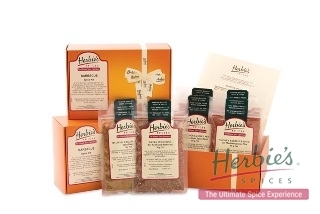 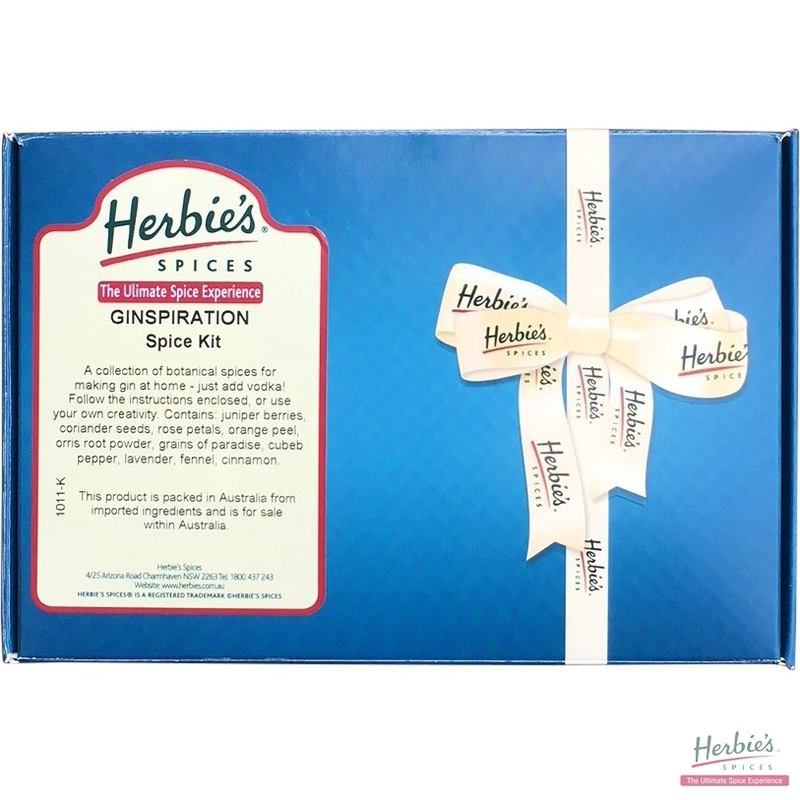 Herbie’s Dictionary of Herbs & Spices has over 160 listings. 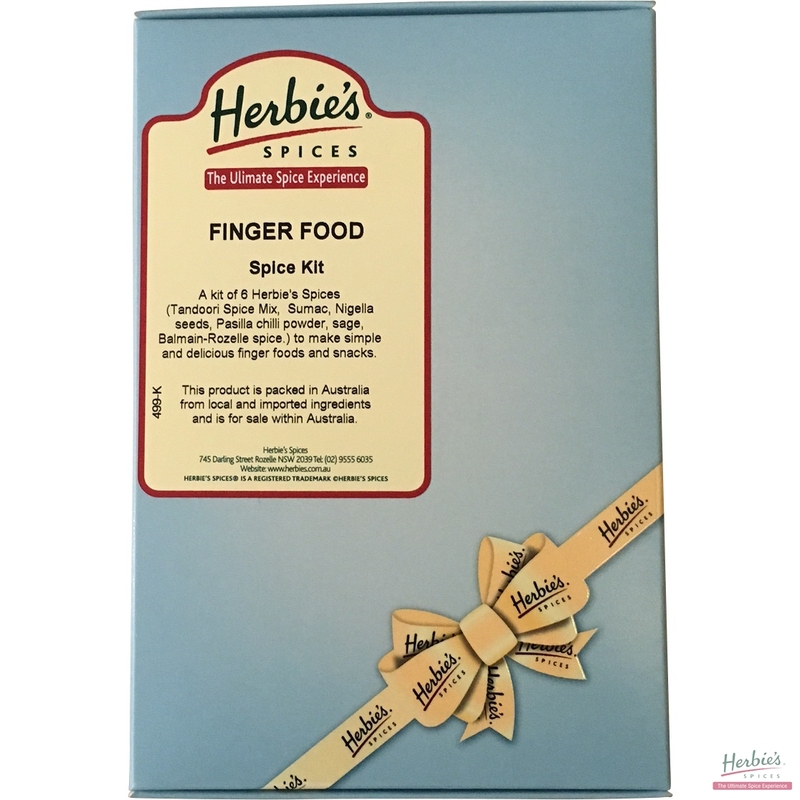 Six simple & delicious recipes for finger foods – for picnics, sports days & entertaining. 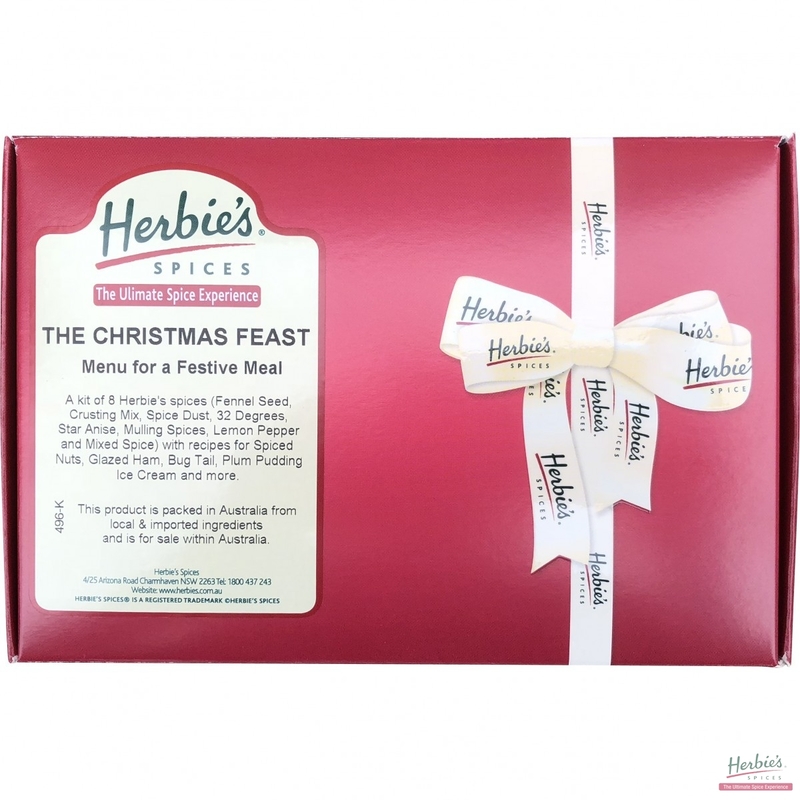 Contains 6 Herbie’s spices, herbs & blends : Tandoori Spice Mix, Sumac, Nigella Seeds, Pasilla Chilli Powder, Sage, Balamin & Rozelle Spice Mix. 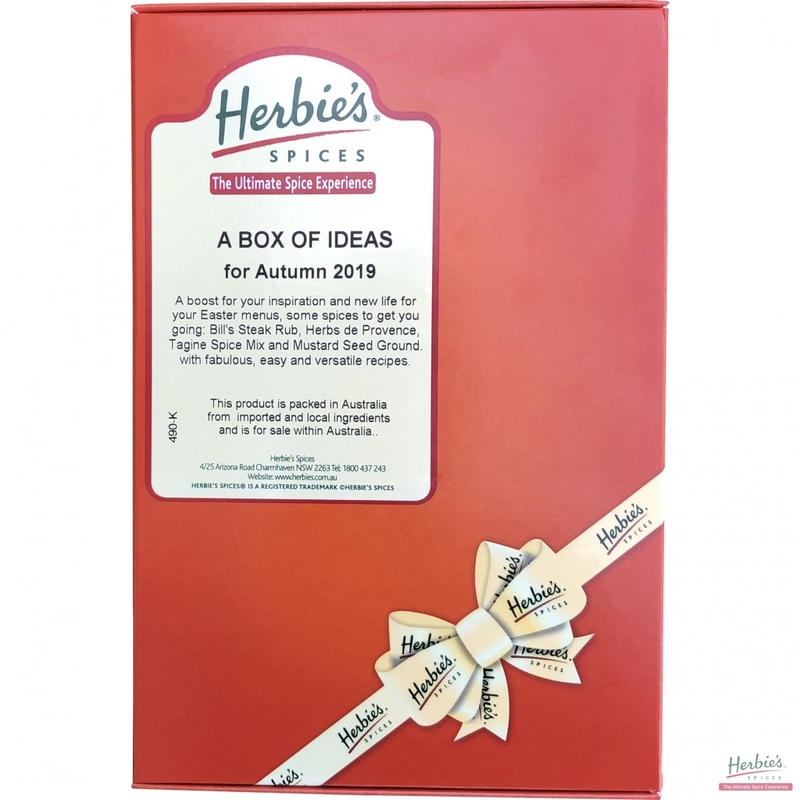 In a dark green box tied with a Herbie’s ribbon.